Sometimes there is just no time to post certain things and I though to myself, why not make a little Recap just for myself… well and you, of all the things that I didn’t get around to posting all year. The posts are pretty random but oh well, random is the most fun anyways. It didn’t happen that long ago but it is one of the more memorable ones. Sunday December 16, is when it all happend. 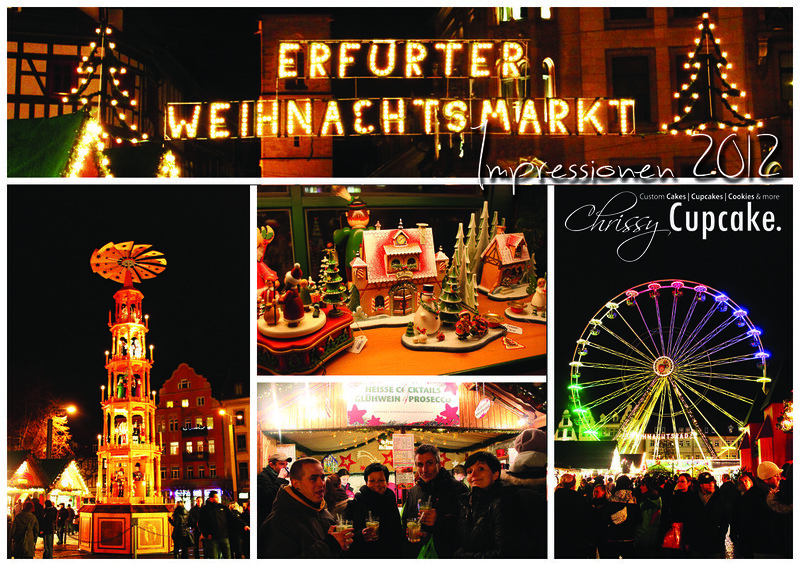 The 3th Annual Unterwirbach Christmas Market. We got really short notice about two Days before it happend and we had to come up with something fast. The year prior we made Waffles and Hot Milk but there wasn’t enough people coming so that one was just not cutting it again this year. Since I had just been on the “Erfurter Weihnachtsmarkt” for our Company Christmas Party I had seen (and of course sampled) some of those delicious Chocolate Apples. 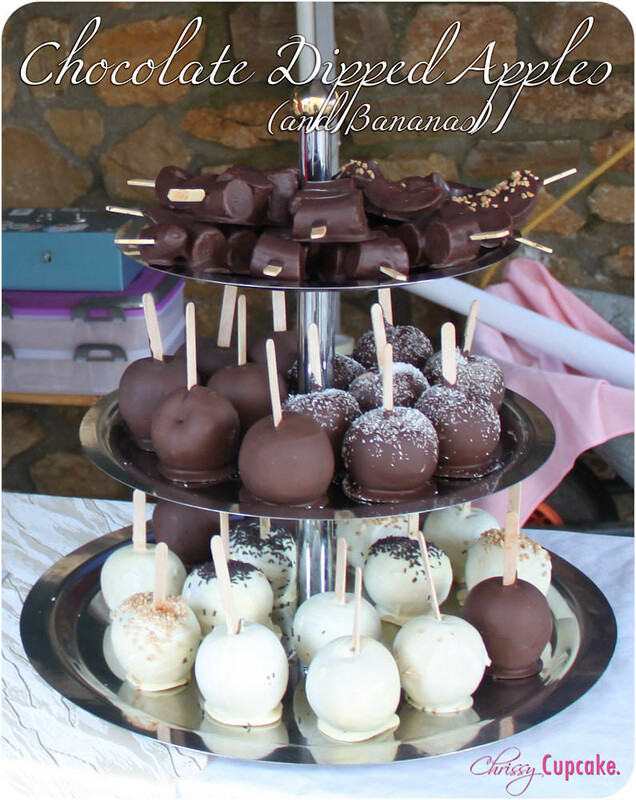 I though this would be perfect for the Christmas Market in our little Village, so my Mom and I decided to make Candy Apples, Chocolate Apples and a couple Chocolate Bananas. We just needed to decide on what drink we wanted to offer…since German Gluehwein (Mulled Wine) is just such a traditional Thing and we knew my Uncle (The Organizer) would do it already, we decided to go for something a little more Fun and Special. We made some Applepunch and Applepunch with “Schuss” (with a Shot). With “Schuss” means the grownups could decide if they wanted Rum, Cachaça or Whiskey in their Punch. ( and just FYI, in Germany we are actually allowed to drink Alcohol openly). The Market went from 2 to 5pm. At around 4.30pm we had sold 52 of the dipped Apples, all of the dipped Bananas and about 40Liters of the ApplePunch. A lot of them with Alcohol. People came back for seconds which just made me smile so much. It’s this warm feeling inside that let’s you know, you are doing a good job. In the end we had used up 2 Bottles of Rum, 2 Bottles of Cachaça and 1 Bottle of Whiskey and if we would have had more I am sure we would have sold a lot more. Now we are already thinking about what to do next year. It is just a lot of fun helping a good cause, especially since our little Christmas Market first has to establish itself. But really every year a couple more people are coming and it is just good too see our Community helping each other out and being there for each other. In this fast paced time this is truly a thing that should be cherished. So if you have local Christmas Markets or Farmers Markets, go there and help your local businesses and do some charitable Work when you have the opportunity too.